Let it SNOW! ? 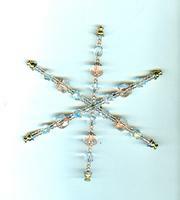 this hand beaded tree or window snowflake ornament, that is. 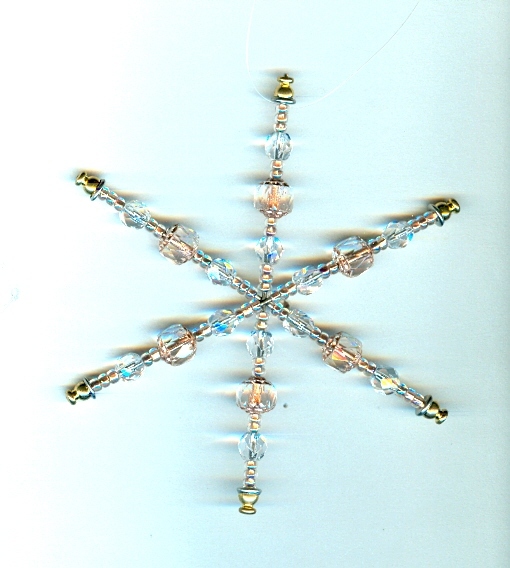 This one features copper lined clear faceted and seed beads. It?s about 3-3/4 inches in diameter; the perfect size for a Holiday tree or a Holiday package, or for use as a suncatcher. It makes a great small gift for the person you don?t want to spend a great deal on (c?mon, we all feel the pinch), but still want to wish the Season?s best. Be sure to check out all our other Holiday-themed ornaments at SPARKLE PLENTY.